As might be expected in a month filled with momentous graduations, transitions from school to summer schedules, and closing the San Francisco fiscal year, our June meeting hosted by Tenderloin Tech Lab was smaller than usual. Attendees were dedicated regulars: Tenderloin Tech Lab (TTL), The Women’s Building, Tech in the Tenderloin, and UCSF Zuckerberg SF General Hospital. We took this opportunity to dive deeper into the shared challenge of gaining participation in the spectrum of amazing programs we offer. The Bay Area is well above 90 percent for access to broadband, defined as high-speed service necessary to meaningfully use the Internet. But we know there is still a significant, not well measured gap in knowledgeable users. Many with and without access still do not understand the personal relevance of learning computer skills. They don’t see the positive impact it could have on meeting basic needs like communication and healthcare and on improving quality of life. We discussed conditions that draw visitors, like having charging cords for a range of mobile devices. We considered ways to broaden our reach so more learn of available services, like engaging places of faith practice. A theme for all present was providing instruction that is beyond the basics, moving skills to the complicated landscape of job search and the broad range of employment skills required. TTL is using individualized digital learning plans to create structure for both learners and teachers to reach meaningful goals. The Women’s Building and CTN use structured curriculum and award certificates that graduates can reference with job applications. CTN shared a tri-fold brochure that lists SF Connected public computer labs where tutoring is provided. The brochure also shows resources for housing assistance, getting a Lifeline phone, and getting low-cost broadband service. We discussed the possibility of creating a similar resource guide that lists the locations and programs available through multiple nonprofits — a physical reference that people can take and carry with them. We have some follow-up activities assigned and will report back at the August meeting. 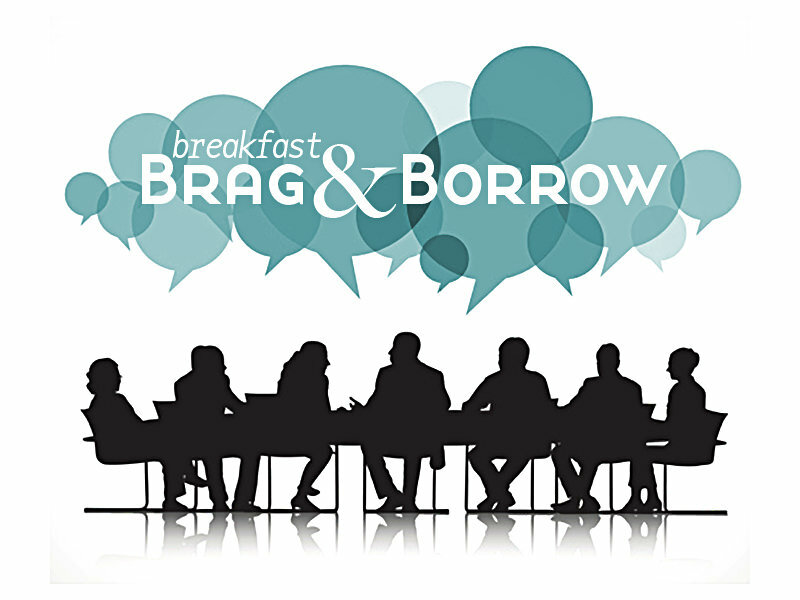 July will be a summer hiatus for Breakfast Brag & Borrow.